Love the color. This brand is very good quality. This user was entered into a sweepstakes after submitting their honest review. 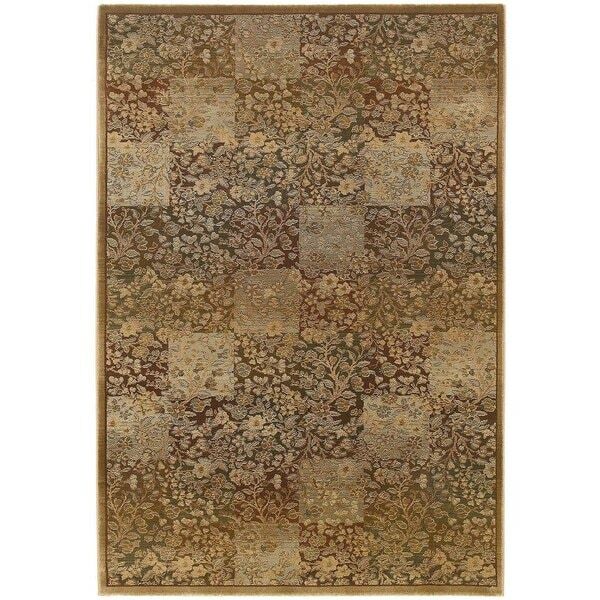 Generations Green/ Gold Rug (2'3 X 4'5) - 2'3" x 4'5"
A modern take on traditional floral motif area rugs this area rug will warm up your décor in rich shades of green, gold, red and brown. Featuring a durable yet soft polypropylene construction this beautiful rug will make a wonderful addition to any room. This Rug is really beautifil. Made well and so soft. Would highly recommend. Love the color. This brand is very good quality. This carpet does not have the design shown on line and the colors described on line. It is a very drab looking carpet and way over priced.